The E-learning Program of The Vocational Training Center of the National and Kapodistrian University of Athens has been operating successfully since 2001, and provides asynchronous educational training programmes that combine theoretical and practical knowledge. The Program's Scientific Coordinator is the Professor of Economics at theNational and Kapodistrian University of Athens, Panagiotis E. Petrakis. The E-Learning educational programmes are designed and developed by academic staff and experts well renowned in the academic world. During the thirteen years of operation until today, the E-learning Program of The Vocational Training Center of the National and Kapodistrian University of Athens has received a total of about 40.000 applications, and 19.000 people have participated in the programs. Specifically, for the academic year 2012-2013, 3.800 students were admitted to the courses. 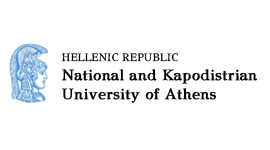 The Academic Coordinators of these programs are faculty members of the National and kapodistrian University of Athens, and they are responsible for the planning, implementation and monitoring of the program's academic process.